Celebre la eleccion de nuestro nuevo Padre Santo, el Papa Francisco, con estas hermosas y unicas dos.. 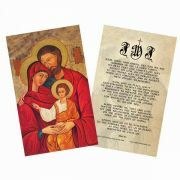 Description: Prayer to Our Lady of the Miraculous Medal Dear Virgin Mother of God, Mary Immaculat..
2" X 4" Paper Holy Card with gold edges. Available in solid subjects. 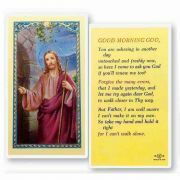 Packs of 100 holy cards, blank.. 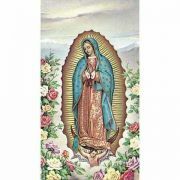 Description: "Hail Mary, full of Grace. 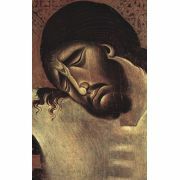 The Lord is with thee. 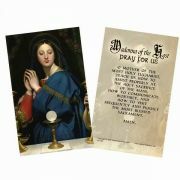 Blessed art thou amongst women, an..
2.25" x 4" with gold edges. 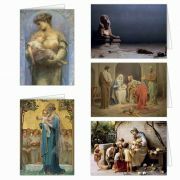 Available in solid subjects or assorted. 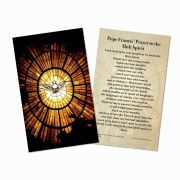 Packs of 100 holy cards, blank ..
Laminated pack: contains 25 cards. Paper pack: contains 50 cards. 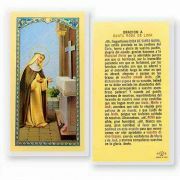 Share your faith with this beauti..
"Our Daily Bread" Polystone Box..
Oracion A Santa Rosa De LimaClear, laminated Italian holy cards in Spanish with Gold Accent. 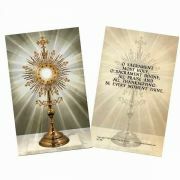 Feature..
Novena to Our Lady of Lourdes 2"x4" Gold Embossed Italian Holy Card with Prayer 100 Per Pack.. 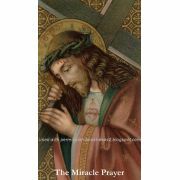 Miracle Prayer Card (50 pack)..
3x4 inches - traditional size - full color printing on super thick card stock with high gloss coatin.. 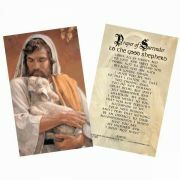 Depth 0.25Width 2.50Height 4.50Laminated pack: contains 25..
Laminated pack: contains 25 cards. 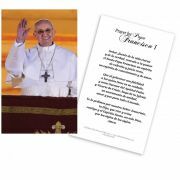 Paper pack: contains 50 cards. 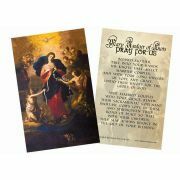 Prayer: Mother of fair love, I l..
Order your variety set of Catholic Christmas cards today! 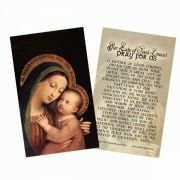 These tasteful and beautiful religious car..
Litany of Humility Prayer Card... See 2nd image for back image... ...3 1/2 inches x 2 inches (Wallet..
4x6 card, on super durable 14pt card stock, UV gloss coated for extra protection.Scored in half for ..
Good Morning GodClear, laminated Italian holy cards with Gold Accents. 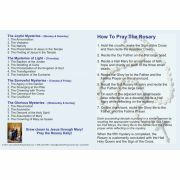 Features World Famous Fratell..
Holy cards featuring special prayers and beautiful artwork from our popular Prayers for the Family n..